Have you ever been someplace that is so awesome that it is terrifying to go back to? Elie’s in Birmingham, Michigan is the finest wine shop I have ever been to. I wrote about the shop before, but I am like a kid in a candy store, it takes all of my will power not to go there, because I could spend the mortgage payment without even trying. The last time I was there, I was almost redlining on my phone, so I could not take any photos and I think everyone deserves to see what is there. The shop is like a Siren to me, and it is probably a good thing that I am busy almost every Saturday, that he posts emails about a wine tasting that he is offering. My Bride and I are planning on retiring in the near future and if I became a regular at this shop, I may not ever be able to retire, though my cellar would be stellar. 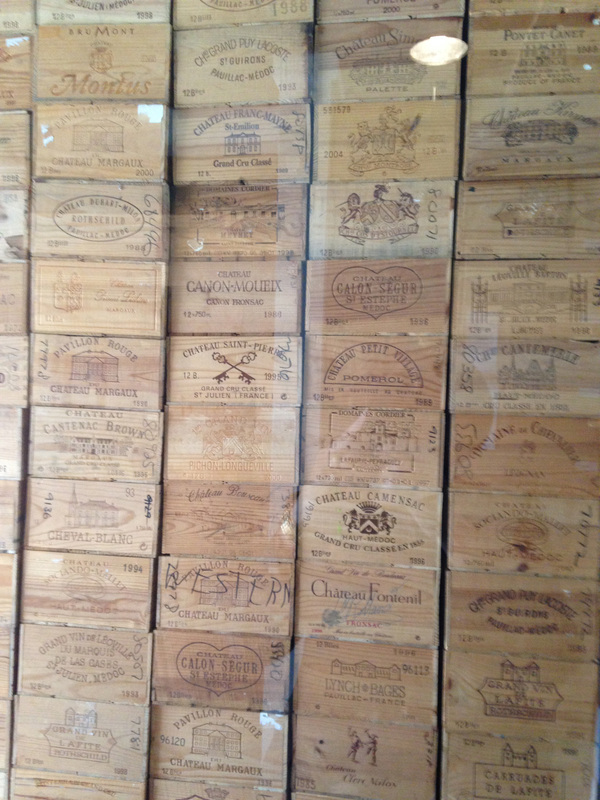 Most shops as I have mentioned before carry a large selection of popular wines and some are even international in scope, but then the famous wines are tucked away in a small area, if they even carry any. 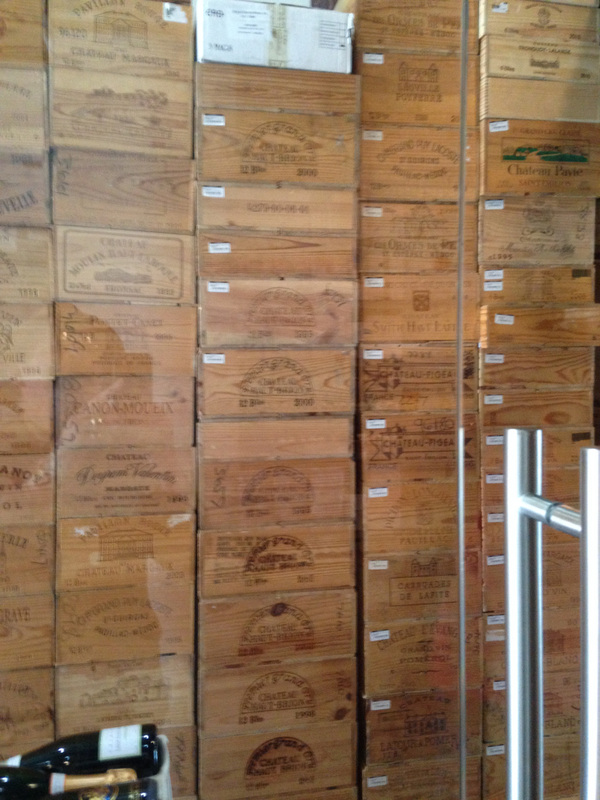 At Elie, the entire shop is fine wines and basically only from France. 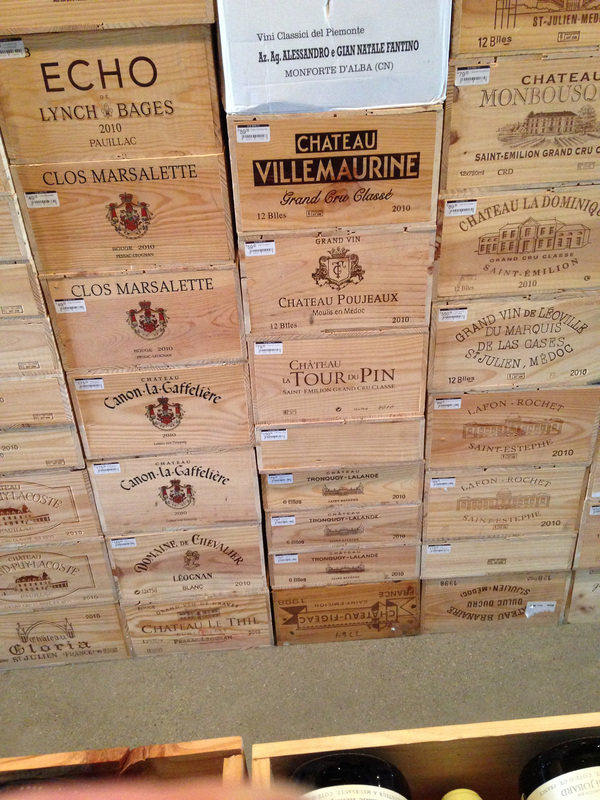 From First Growth Medoc wines downward, the choices are amazing. Then his selections of Burgundy would make a strong man weak. 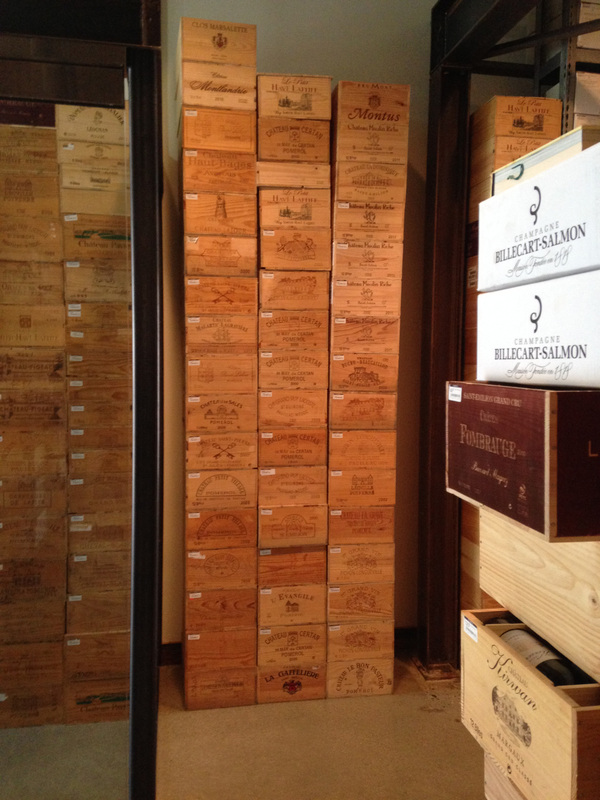 He is in the midst of creating a special “room” just for Champagne and I am sure that when it is done, there will be Champagnes that I have only read about and never even seen for retail or listed by a restaurant. Elie is also branching out, as he is doing some importing of his own, as he has become quite enamored with some of the wines from Spain, that were not getting any presentation here in the United States, which he is attempting to change. I took a chance, feeling that my resolve was strong and I could only allow myself a quick trip there. I had received an email about a new rose wine that he was touting, and I thought that it would be something unique to try with my Brother-In-Law since he was in town for a party. 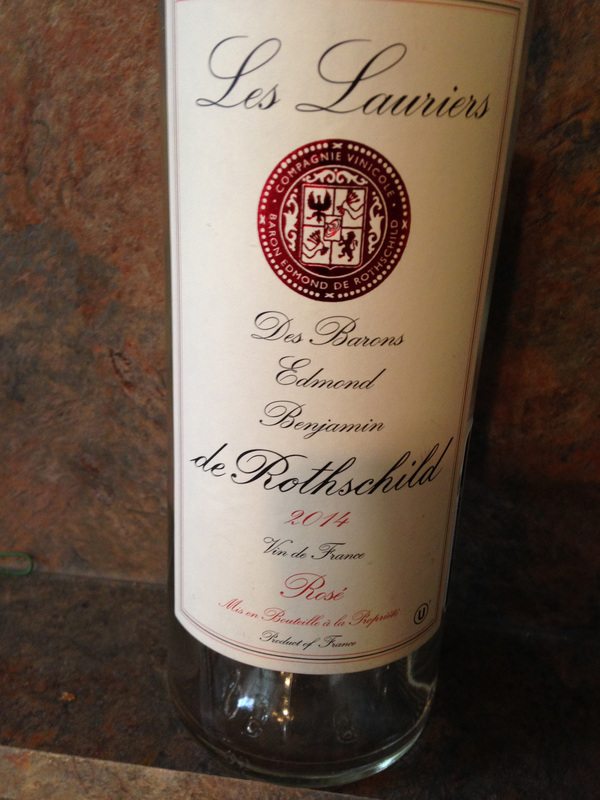 The bottle of wine that I was after was Baron Edmond de Rothschild Les Lauriers de Rothschild Rose 2014. The wine was a Vin de France, the new version of the old Vin de Table, or what was called a Table Wine. The name change was because there are certain wines now being made, that are not table wines, but they do not agree with the time honored types of wine for the usual designation, similar to the concept that a Tuscan IGT is not the usual wine from Tuscany. The wine is from “Les Lauriers” which is adjacent to “Chateau Laurets” which was bought by the Baron in 2003 and is in Montagne-Saint-Emilion. When one thinks of French wine with the name Rothschild one immediately thinks of Pauillac and here we are on the other side of the river. As best as I can discover this wine is made from Merlot, Cabernet Franc and Cabernet Sauvignon, all varietals that are perfect for Montagne-Saint-Emilion. The rub, I guess that it is a Vin de France, is because it is a Rose wine and not Claret. The wine was a hit, I might add, a very dry and subtle Rose that was perfect for a summer afternoon, before dinner. I know that the Siren call of Elie will still lure me back, and I look forward to it. This entry was posted in Wine and tagged Baron Edmond de Rothschild, Cabernet Franc, Cabernet Sauvignion, France, Les Lauriers, Merlot, Rose, Vin de France, Vin de Table. Bookmark the permalink.